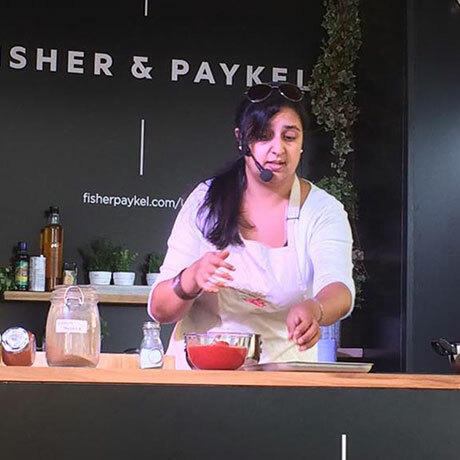 With over 25 years’ experience of Indian cookery, Zalena offers Indian Cookery Classes across Cheshire, Staffordshire and Shropshire through her cookery school Rose Petals and Rice. The aim is to teach students how to use fresh and healthy ingredients with a combination of spices to make traditional Indian dishes still eaten throughout India today. Rose Petals and Rice will be demonstrating several dishes at the Festival this year - including how to make hot buttery chapatis. Don't miss it! 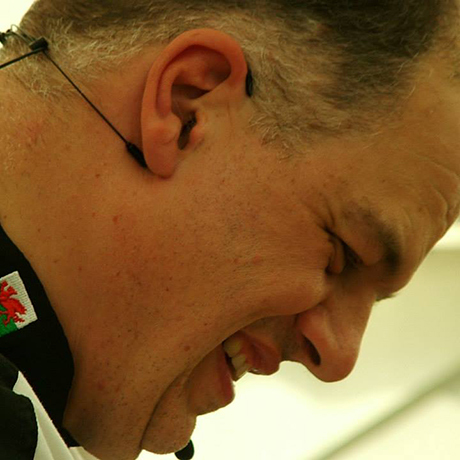 Festival regular Rob is a former professional chef who trained with Raymond Blanc and ran his own successful London restaurant, before leaving the bright lights of the city to establish a free-range pig farm on the Welsh border. We’re sure Rob’s demos will be as popular as his delicious Orchard Pigs pies! 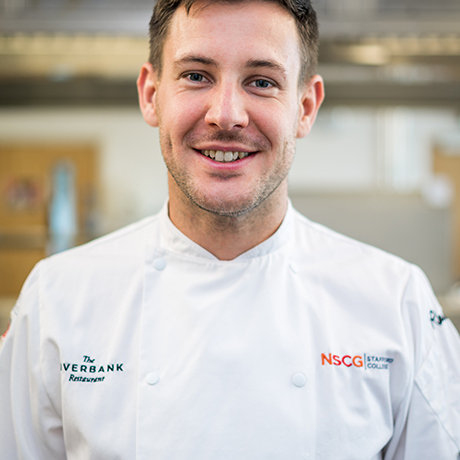 Tom’s culinary career began as an Apprentice Chef at Alton Towers Resort Hotel, before developing his repertoire in roles at the AA Rosette establishment Woburn Hotel; the renowned Crewe Hall and the two AA Rosette Goldstone Hall. Tom then joined Aston Marina as Sous Chef in 2014, working his way up to the role of Head Chef and gaining the Marina two Great Taste Awards from the Guild of Fine Foods, and now heads up the kitchen at Stafford College which was recently awarded an AA rosette and silver in hospitality. Mike’s career has seen him work in top hotels and restaurants in London and South West, including Lords Cricket Ground and the 5* Imperial in Torquay. He also has over 25 years’ as a food lecturer under his belt and, in between spells in teaching, ran a country pub/restaurant that in 1998 became one of the first 100 pubs to be included in the Michelin guide. Now freelancing, Mike is once again taking on the ‘Gourmet Marquee Sweep’ – with the challenge of buying ingredients from traders on the day to whip up culinary delights! 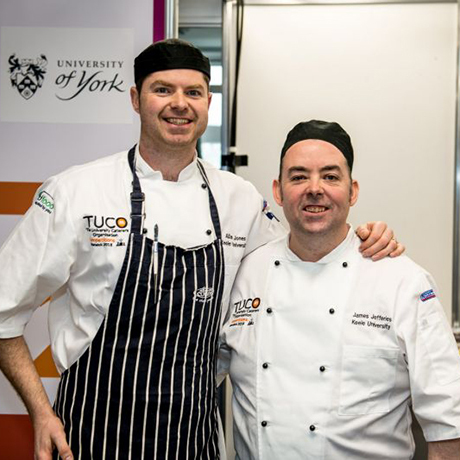 Culinary dream-team Allan and James will join us fresh from winning silver in the TUCO (The University Caterers Association) Chef’s Challenge. 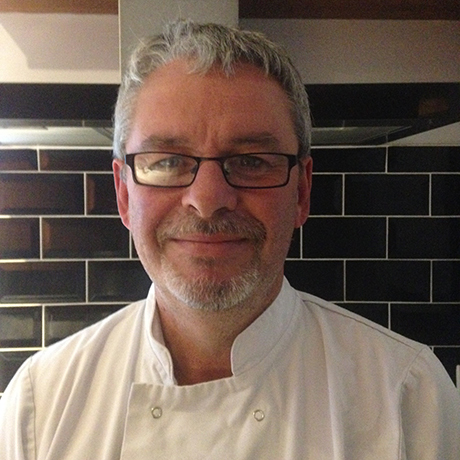 And it’s little wonder – Allan’s career has seen him work alongside Marco Pierre White, cooking for celebrities and royalty, and he’s put Keele Hall firmly on the foodie map. During their demo, Allan & James will showcase their trademark flair through dishes from their renowned kitchen – with plenty of banter along the way. 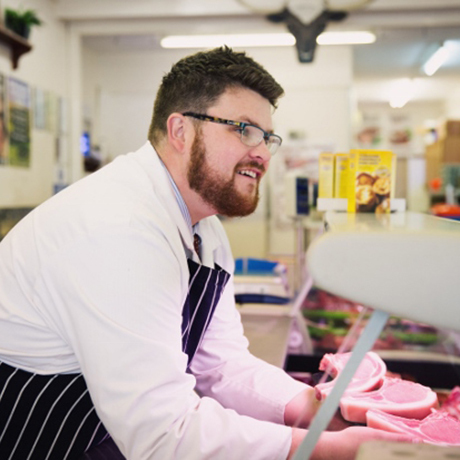 Jake worked in some of the best restaurants across Staffordshire & Cheshire for 10 years before establishing his own Restaurant - Little Seeds - in Stone in June 2016. 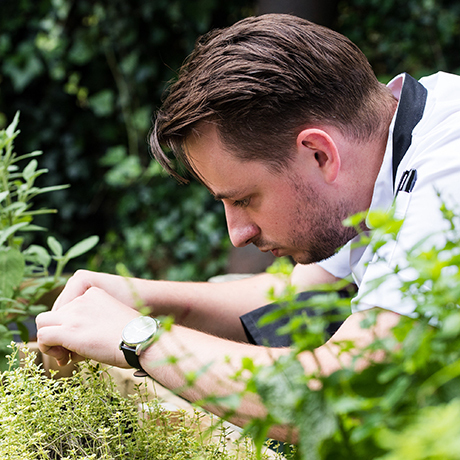 Born out of a passion for providing personal customer service and creating exciting seasonal menus, Jake constantly pushes himself to create fresh, inspiring food from ingredients that are sourced from quality local suppliers and the restaurant’s own kitchen garden; crafting vibrant, contemporary British dishes. Jake will demonstrate on Sunday at 2pm. Mark cut his teeth at The Windmill restaurant in Adlington, Cheshire where he worked his way up through the ranks from Commis Chef to Junior Sous Chef. He then travelled to Europe to expand his culinary horizons; working in the French Alps, Normandy and finally Bardonecchia in the Italian Alps. With a constantly evolving style and a particular passion for US style dry rubs & marinade, smoke houses & craft ale Mark admires American Anthony Bourdain’s gutsy cooking and hands-on approach. Mark will showcase dishes using fresh, seasonal and locally sourced ingredients that are a trademark of the marina’s new No.26 bar and dining venue. Adrian joins Moddershall Oaks Country Spa & Retreat with a wealth of knowledge and global culinary experience. His career spans over 28 years within 5* hotels, spas and high-end restaurants, both in the UK and internationally. His culinary creativity is already shining through with the imminent launch of new lunch and evening menus and an exciting afternoon tea menu too for their lakeside restaurant. 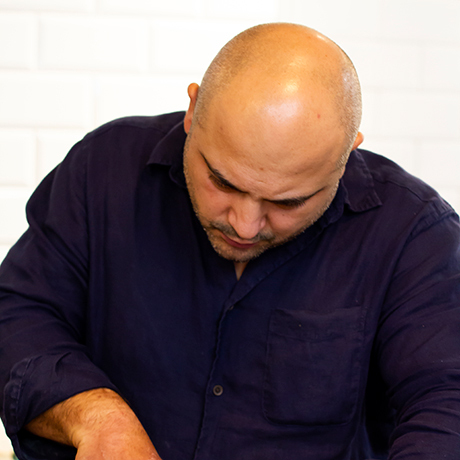 Adrian’s focus is the quality of produce and takes inspiration from a variety of cultures and cuisines from Classic French, Italian, Asian, Japanese, Lebanese, Greek to British cuisine. 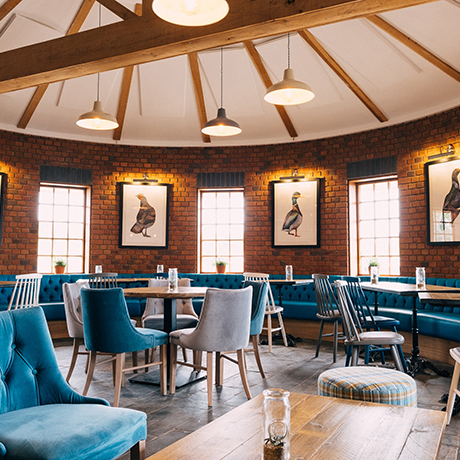 The new menu is set to launch Mid October 2018 and re-define the Moddershall Oak’s dining experience. Richard started his career at The Chester Grosvenor which held a Michelin star for over 20 years. He owned his own country pub cooking good simple food before he moved to Fischer’s at Baslow Hall (1 Michelin star, 4 AA Rosettes). 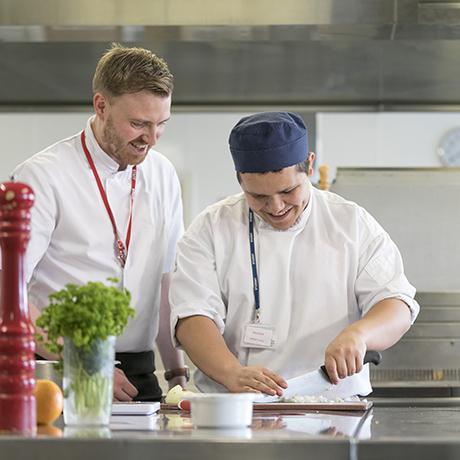 Richard is a member of the Staffordshire Chef’s Forum and is now Curriculum Leader for Hospitality and Catering at Stafford College, where he teaches in the AA Rosette award winning Riverbank Restaurant. Richard is demonstrating on Saturday at 12 noon. Sharpen your skills in the kitchen with a bigger and more diverse programme of hands-on masterclasses than ever before. The Chef lecturers will be covering the basic knife skills and techniques required for preparing a variety of fish for both quick meals and dinner parties. Course attendees will get to learn new skills, such as filleting, skinning and portioning, as well as learn how to cook and present each dish to the standard set at Stafford College’s Riverbank Restaurant. Stone-based cake designer Beth will show you how to create one of two amazing cupcake designs for you to take home and enjoy! Suitable for grown-ups and children 4+ with adult assistance. iCookIndian and RAWR are no longer able to host their Masterclasses this year, we hope to see them back in 2019. These sessions are very popular. Arrive early to pre-book your space on the day. When they’ve had enough of the fun fair, bouncy castles and face painting activities on offer why not book the youngsters in for a free cookery session with Kiddy Cook. They’ll get the chance to create and sample a host of dishes in themed classes taking part throughout the day on Saturday & Sunday. Bookings will be taken on the day on a first-come, first-served basis. Get hands-on and make delicious dough balls to cook at home and churn your own home-made butter!.